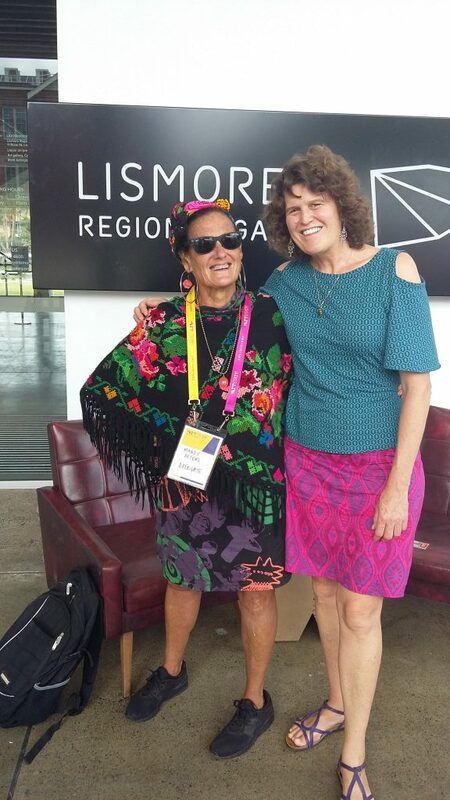 Last weekend, I attended the inaugural Artstate Conference in Lismore. Artstate is a new four-year project by Regional Arts NSW that shines a light on excellence in regional arts practice and explores exciting possibilities for arts and cultural development across the state. Artstate Lismore 2017 was an exciting two-day program of speakers who explored themes of creative practice and creative partnerships. Running alongside the speakers’ program was a multi-genre arts program featuring the rich creative talents of artists from the north coast of NSW. 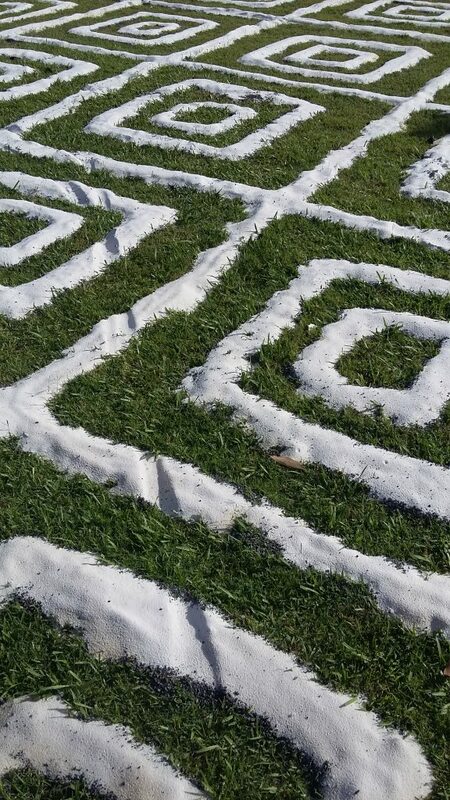 Most of the conference was held around City Hall, and on the grass outside the building, local artist Digby Moran had created a beautiful sand installation about his intimate connection to Bundjalung Country. I loved it all – the people, the art, the music and theatre performances, the fabulous morning teas and lunches – but I especially loved the strong focus on Aboriginal arts and arts leaders. Thank you to all those who organised Artstate Lismore! I came away with new friends and new knowledge that will help me advance my creative practice and improve my performance as a regional artist. 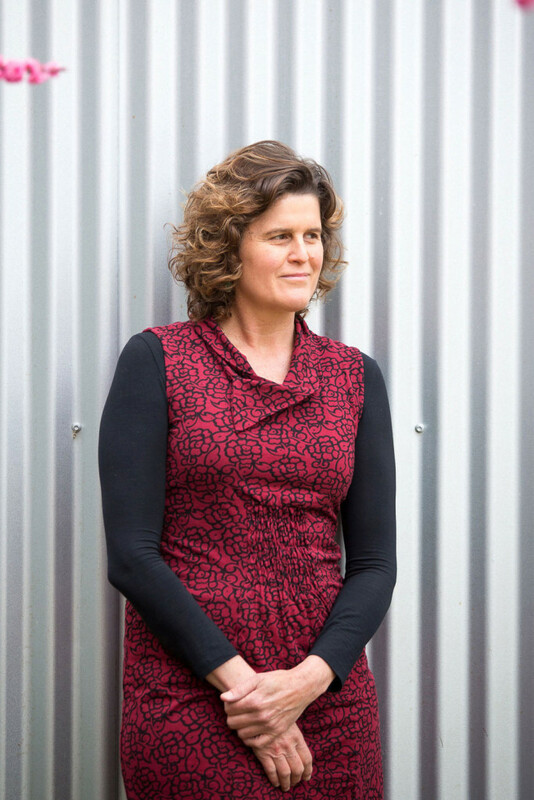 I also met an old friend at the conference – the amazingly creative Mandy Peters, who is now the Décor Manager of dressing rooms for artists at the Mullum Music Festival and Byron Bay Bluesfest. Mandy and I used to share a house in Annandale in the late 1980s and it was fun to catch up again after so many years. As one of the other conference delegates said – ‘Artstate lit the fire in my belly’ – and I feel the same way. Many thanks to Regional Arts NSW who provided me with generous funding to go to this life changing event. My attendance at Artstate Lismore 2017 was made possible through a Quick Response Grant provided by Regional Arts NSW through the Regional Arts Fund, an Australian Government initiative supporting the arts in regional, remote and very remote Australia. Hello again. No news on the writing front, except that an agent has expressed interest in my work and is currently reading the manuscript. I hope to hear some news soon. Meanwhile, through my teaching position with BackTrack Youth Works (the youth work organisation that features in my memoir), I was involved in an inspiring writing-related activity earlier this week when I attended the BackTrack School’s inaugural poetry camp with eight dogs, nine teenage boys, my co-teacher Simmo, three youth workers – Dusty, Blissy and Matt, and one bush poet: Murray (Muz) Hartin. We camped by the Macdonald River at Marinka, a property near Walcha, and slept in swags under the stars. Four nights after leaving the riverbank, my head is still filled with images of the camp: the oaks along the river; the boys unloading their truckload of firewood; sitting around the campfire sharing songs, stories and poems; the change in Murray Hartin’s face when he recited poetry; Dusty reading ‘The White Horse’ from his note-book of poems; Simmo’s torch-lit rendition of Tonchi’s song Gallipoli; stone sculptures popping up everywhere; a midnight yabbie feast; eight black and white and brown dogs gathered by a tree, watching everything; and a circle of swags around the fire. Murray Hartin was very entertaining, and by the end of the first day, I’m sure I wasn’t the only one whose cheeks were aching from laughing so much. After breakfast the next morning, I saw Blissy and a group of boys sitting some distance away – guitars and notebooks in hand – thinking up words to fit the tune of Stand By Me, while others sat back and read their signed copies of A Whole Lotta Muz. Later, we dragged the rolled-up swags into a circle in the shade and shared poems, thoughts and feelings, and everyone rated the camp well into the 80s or 90s out of 100. Before we left, we did charcoal drawings on large sheets of white paper – some people drew the trees and rocks along the river, and others drew what was in their heads. Murray did a tree ‘rubbing’ by holding his paper against the bark of a tree, Matt sketched the sheep’s skull I’d found on my walk that morning, and two of the boys asked if they could move away and spend time drawing in solitude. That’s where we were at by the end of the camp. I think I’m still absorbing the experience – which was right up there in the 90s out of 100 for me. In our ‘outdoor classroom’ at Marinka, we may have learnt about rhyme, rhythm and rap, but, for me, the poetry camp also offered a lesson in cooperative living and respecting each other and our environment. I’d never been camping with so many men, boys or dogs before, and it’s not common for a woman to be on a BackTrack camp either, but I felt an accepted and welcome member of the group. I also noticed that whenever the word ‘black’ was used in any context, like describing a black horse or a black container, someone was sure to joke: ‘Don’t be racist!’ – but as far as race relations were concerned, I thought we lived in harmony during our time by the river, and we can all take that lesson away into our everyday life. 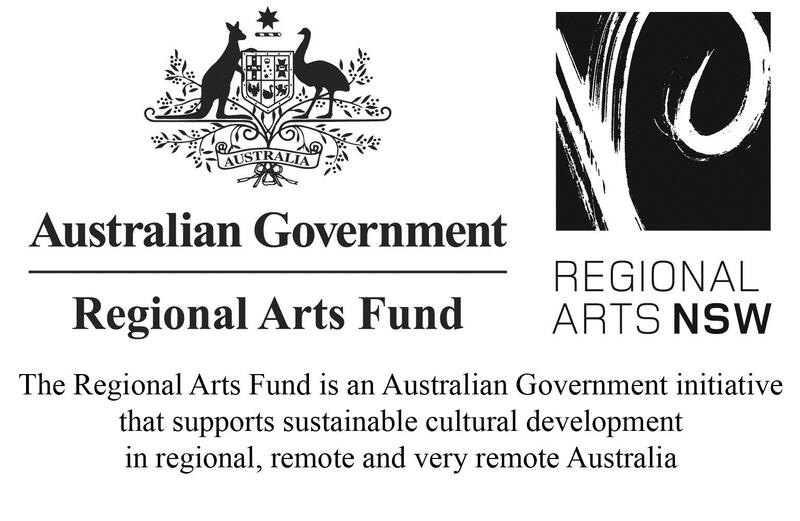 This project was made possible through a Quick Response Grant provided by Regional Arts NSW through the Regional Arts Fund, an Australian Government initiative supporting the arts in regional, remote and very remote Australia. Hello again. No news on the memoir – I’m still waiting for Judith, my Australian Society of Authors mentor, to get back to me with her final report, but that should be coming through soon. In the meantime, life has felt like one long application form – for jobs or for funding grants – and I’m either doing that or sending off submissions to journals or competitions, or trying to get my head around the huge and sometimes insurmountable task of writing my PhD exegesis. But it’s a lovely feeling indeed when all the long hours spent hanging over a computer answering application questions and working out a budget are rewarded with a successful result. A few days ago, I heard my funding application for the Country Arts Support Program (CASP) – organised through Regional Arts NSW – has been approved, and in early 2013, I will do a stint as writer-in-residence at BackTrack Youth Works in Armidale. What a wonderful Christmas present! With the ‘Stories from the Shed and On the Road’ project, I’ll deliver a series of writing workshops to young people involved in a range of activities at the ‘Shed’. Participants will create prose or poetry which will be published on the organisation’s website, and I’ll also creatively document some of BackTrack’s rural and shed-based activities. The funding news gave my recently-flagging spirits a huge boost, although when I read the media release about the project, and when the ‘idea’ suddenly became a ‘reality’, I began to feel somewhat daunted by what lay ahead. How the heck am I going to do this? I thought to myself. Did I really say that I’d go on the road with a truck full of boys and dogs, and sleep in a swag at truck stops on the way to rural shows? Did I mention that I’m scared of dogs? While I was in this state, though, I remembered a Woody Allen line from Manhattan that I saw in the paper a few weeks ago – ‘talent is luck; the most important thing is courage’ – and I reminded myself that I’ve been in this place before, and that writers need a certain amount of courage when starting out on a new project and following an idea through. Five years ago, I came up with an idea to write a story about a youth worker and a group of boys in a welding shed. Finding the strength to begin that project was an enormous undertaking, and I had much the same sort of fears when I put on my King Gees and boots for the first time – me in a welding shed? 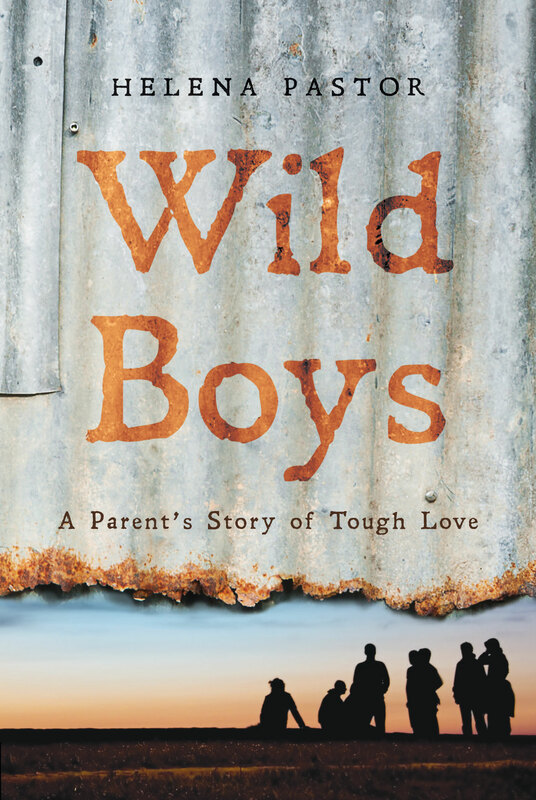 With a group of wild boys who didn’t fit into mainstream anything? I knew nothing about welding or power tools, or even youth work for that matter … but I gathered up my courage and walked into that shed and set to work. I might have been shaking in my boots, but I forced myself to have faith in the process, and that initial idea has led to so many positive opportunities down the track – including this latest round of CASP funding. Another funding application I put in to further develop the same ‘Stories from the Shed’ project was the Hazel Rowley Literary Fellowship. Hazel Rowley, who died in 2011, was an Australian biographer. From reading some of her articles, essays and books, I learnt a lot about the sort of person she was, and I remain full of admiration for the way she lived her life. Hazel Rowley wrote about people who were courageous, who were ‘outsiders’ in society, and each time she embarked on a new book, it invariably involved an act of courage for her, too. The literary fellowship was formed to commemorate Hazel Rowley’s ideas and interests, and the selection committee mentioned they were particularly interested in projects that were about ‘risk-taking and expanding horizons’. My 2013 writer-in-residence project certainly fits that description, and whatever happens, and however I work it out, ‘Stories from the Shed and On the Road’ is going to be a grand adventure, and I just need to take a deep breath and enjoy the ride. Until next time … courage to all writers!